The profile page template provides an option to highlight an individual's profile along with profile picture, social media links and up to four customizable tabs. 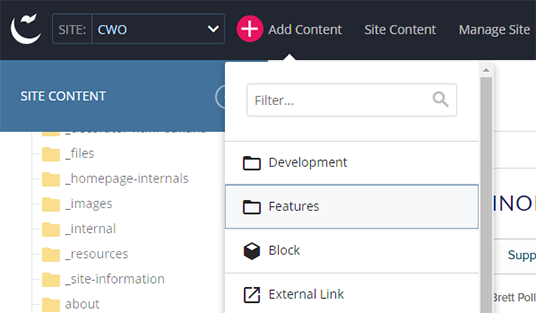 Click on “Add Content > Features” menu from the top navigation bar. Fill out the page metadata (System Name, Display Name, Title, Summary and Author). Add the profile information (Title, Full Name and Address, Personal Website, Phone, Email and Image) in the “Profile” panel. Add social media links (Facebook, Google+, LinkedIn, Twitter) in the “Social Media” panel. Add additional links by clicking on the plus icon (+) on the right. Add profile tabs in the “Profile Tabs” panel. Add additional tabs by clicking on the plus icon (+) on the right. (You can add up to four tabs per profile). You can add the following social media icons to the profile page. You can include location information (mailing address, mail code and office number on the profile page. 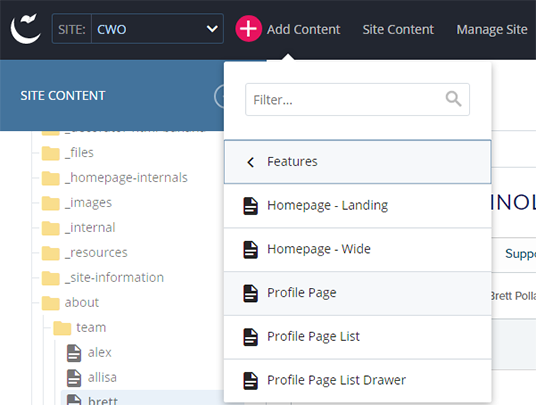 You can have up to four customizable profile tabs per a profile page. To add a new tab click on the plus (+) icon. 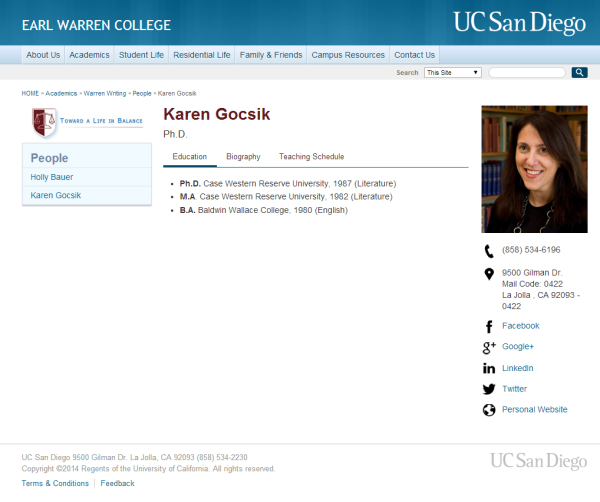 We recommend having an image size of 125x150 for the faculty profile images.